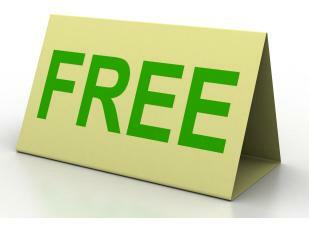 March 2012 Popular Posts : Free Calling Offers | Free Pc to Phone Calls, Free Voip Calls to India International ! Continuing with the last month trend we are again back with the March blog post round up. Last month we posted many free calling offers, many smartphone voip apps review, many tutorials to help you out! Just go through the list below to see if you missed anything interesting. If you have any feedback then please post it in the comment section. If you would like a post/review of any specific deal/app/voip provider please contact us. We want to make Free Pc to Phone Calls blog as one stop for all your calling needs, complete voip solutions. Help us by spreading the word, help us grow! Maaii : Maaii is the latest voip provider offering FREE CALLS DAILY! Yes, Maaii for iPhone, Maaii for iPad, Maaii for iPod Touch offered free $1.9 call credit daily. People used it to make free calls to India : whole 100 free minutes to India. Maaii for Android to be launched very soon. Maaii offer still works great. Pingo Bonus Code : Use this Pingo $10 bonus code and make free calls. Free International calls from USA : If you are in USA, then you can make free international calls from USA. Yup, Free Calls to India from USA. Use FreePhone2Phone. Free Home Phone Using Google Voice : Check out this post to know "how to replace your landline phone with Google Voice". VoipCheap : A betamax voip provider offering cheap and free calls to over 30 destinations. If you have used betamax services in the past, then this is a good option for you. MobeeFree : Another voip provider review. It features many different ways to make calls including SIP Calls. Mobeefree can prove to be a good option to call Asian countries, specially India & Bangladesh. CentMobile Calling Card Review. This includes one exclusive bonus code as well. Get a Free UK Number : FWCall offers free UK phone number. Forward call to this number to some Indian or International number. Use FWCall to make free calls from UK. iTellVoip : For making cheap voip calls. Facebook Video Calls Problems : Solutions to your video calls facebook problems. Viber for iPad : Tutorial on how to setup viber on your iPad. Bobsled for iPad : Use Bobsled to make free calls on iPad, Android, iPhone mobiles. Watch Live TV on iPad : List of Free TV apps for your iPad. Now watch live tv on iPad. Oovoo for Android, iPhone, iPad : Make free group video calling. Viber for Blackberry : Viber for blackberry phones will be launched very soon, as updated by Viber Team. PrankDial : Learn about making Free Prank Calls without getting caught. Nokia 41 MP Phone : Amazing Camera, Amazing features in this Nokia mobile.